In March 2007, Andy and I took a weekend trip to Portland, Oregon. Neither of us had ever been before and we were both pleasantly surprised by the caliber of dining there. My most memorable course was an appetizer of jumbo prawns stuffed with jalapeño cream cheese at a downtown restaurant called the Veritable Quandary. 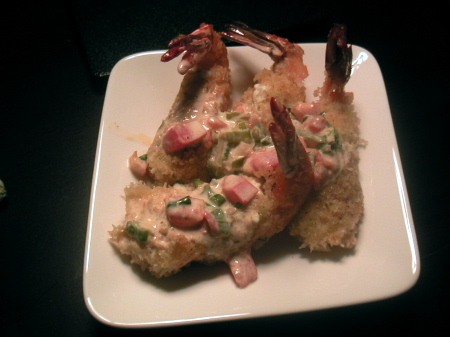 Since then, I’ve not had a chance to return to Portland (yet), but I have craved the shrimp on multiple occasions. Whenever I think of the dish — not quite shrimp cocktail, not quite jalapeño popper, and the perfect blend of seafood, creole spices, decadent cream cheese and crispy breading — my mouth would water. Unfortunately, I was never able to locate a version of it in the Bay Area, nor could I ever find a recipe online: I went to the restaurant website, where the menu no longer listed the dish. I even went so far as to write Bon Appétit, but to no avail. Finally, a last resort: I emailed the restaurant, asking them about the recipe. Had I made the whole thing up, or had there once been a menu item that was truly that divine? It turns out I wasn’t imagining things after all; I got an email shortly following my inquiry. “We focus on farm-fresh local ingredients which means we end up changing our menu rather frequently. Unfortunately, we no longer have that particular item on our menu, so the recipe isn’t readily available,” explained the restaurant’s manager, Jason Gerlt. However, he was kind enough to dig up the old recipe and send it to me. Moral of the story: If you ask for something, you might just get it! 1. Combine all of the filling ingredients until blended. 2. For sauce, briefly sauté the garlic, scallions and tomato. 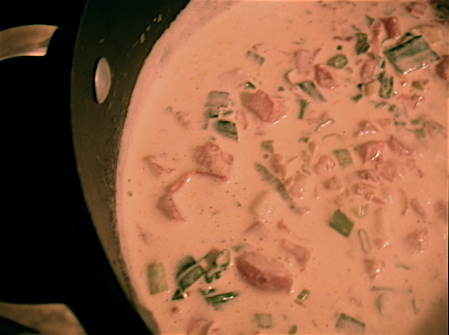 Add the cream and Creole seasoning, simmering until thickened. 3. Devein and butterfly shrimp. 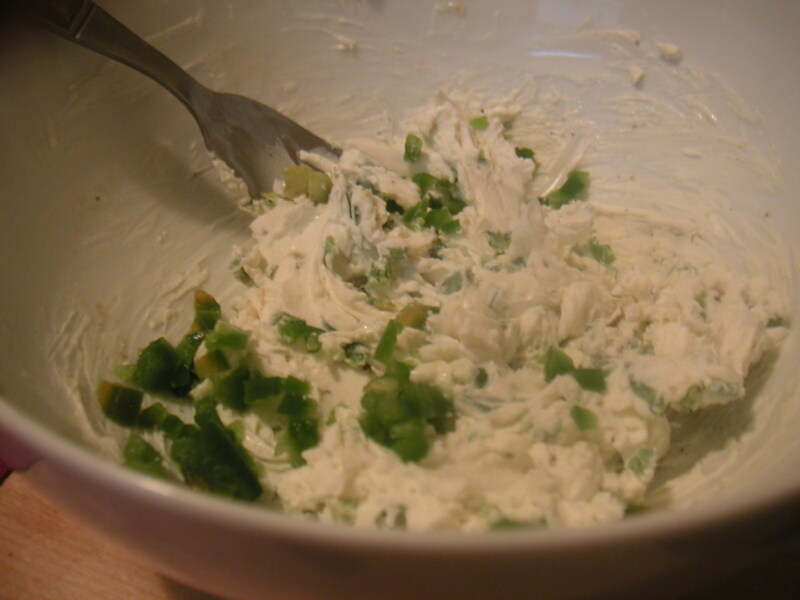 Stuff with cream cheese filling. 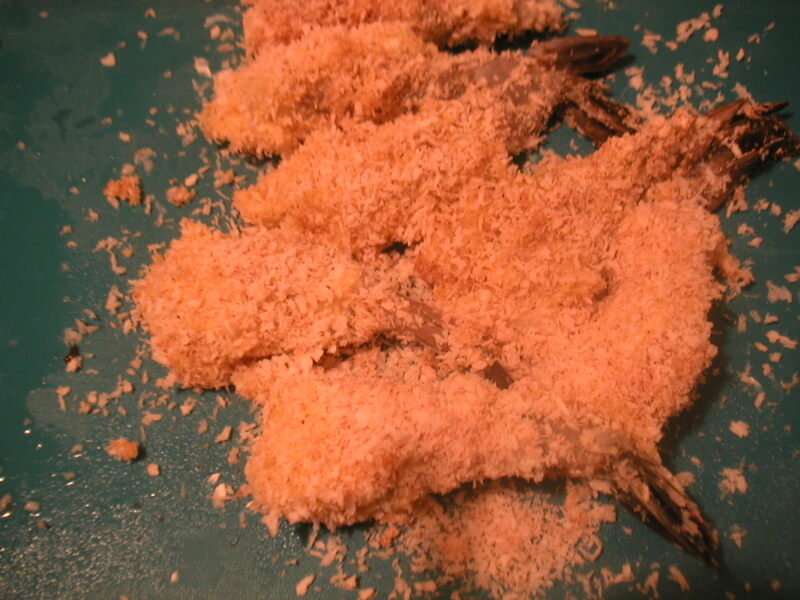 Coat, first with flour, then egg wash, then panko crumbs seasoned with creole seasoning. 4. Deep fry until golden, and serve plated with sauce.